In a statement issued on Friday, the union said that the death toll is expected to climb because of the serious condition of some wounded protesters. It also noted the excessive use of tear gas in the crackdown, including in residential areas, and inside homes and hospitals. The statement came one day after a chief investigator concluded that an iconic protester —Ahmed al-Khair— was beaten to death while in custody. 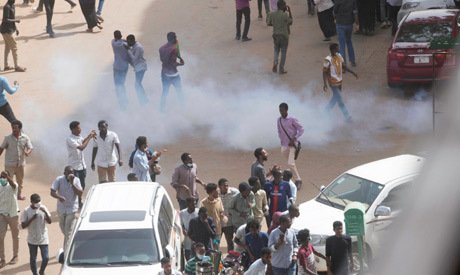 Sudan's President Omar Al-Bashir has held "infiltrators" accountable for the recent deaths during the anti-government protests. In January, Al-Bashir said that his forces arrested individuals who admitted that they "were instructed to infiltrate the protests and kill the protesters in order to fuel the conflict, instigate sedition, and destroy the country."